Provocative dramatic monologues allow Biblical women to tell their own stories as the author puts herself in the shoes of the Virgin Mary, Miriam, Mary Magdalene, Elizabeth, the Syrophoenician or Canaanite woman, Lydia, Ruth, Gomer, Michal, Tamar, and Peter's wife. - Publisher In these inspiring monologues, women of the Bible speak in their own voices: the Virgin Mary, Miriam, Mary Magdalene, Elizabeth, Lydia, Ruth, Martha, Gomer, Michal, Tamar, Peter s wife, and others. 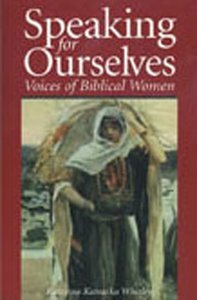 In these inspiring monologues, women of the Bible speak in their own voices: the Virgin Mary, Miriam, Mary Magdalene, Elizabeth, Lydia, Ruth, Martha, Gomer, Michal, Tamar, Peter s wife, and others.